Canine Good Neighbour - Canadian Kennel Club Program for Pure Bred and Mixed Breed Dogs. This program is to identify and reward responsible, caring owners and their canine partners throughout Canada. Canine Good Neighbours can be counted on to present good manners at home, in public places and in the presence of other dogs. The test is non-competitive and allows dog and handler to demonstrate confidence and control in 12 steps. This program does not require a DOGSmart Beginner Program but it is recommended. 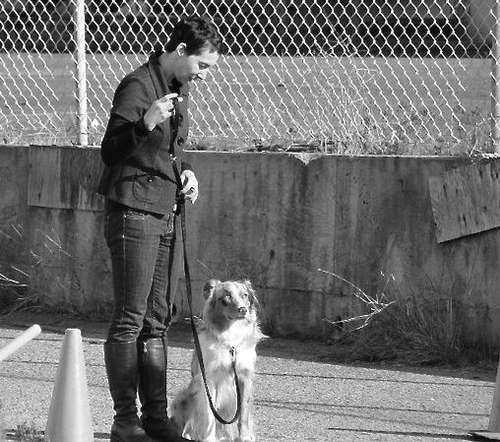 Read here about a client's first hand account of taking, and passing, the Canine Good Neighbour class and test. Good Stuff!